Everyone has their favorite products for every season. There are endless lists from magazines and online sites. This is why I know this is not a be-all-end-all list. However, this list of favorite summer products (not to mention throughout the year) is one that suits me. It is also one that is organic and natural. From easy hair styling, to refreshed lips, and keeping skin healthy in the sun - these products never steer me wrong. These are my go to and, who knows, a few might end up being your go to as well. Scroll down to find out more. My pixie hair is effortless, especially when it only takes a little spritz of Herbivore's Sea Mist (in Lavender - it also comes in Coconut). I spray it on either wet or dry hair to give my short locks a bit of texture for the day. The product is so safe that you can use it on your skin as well. Product Description: Sea Mist Hair Spray is formulated with the same salinity as Pacific Ocean saltwater. This spray is great for adding beachy texture and waves to hair naturally. The essential oils of lavender and sage give off a calming aroma. Available in 2oz for $12 or 8oz for $20 (note Herbivore Botanicals has awesome coupons throughout the year, which includes a 10% discount if you sign up for their newsletter). Hurraw! is my go to in lip care throughout the year. I love their coffee and Earl Grey scented balms, but need something extra for the summer months: sun protection. 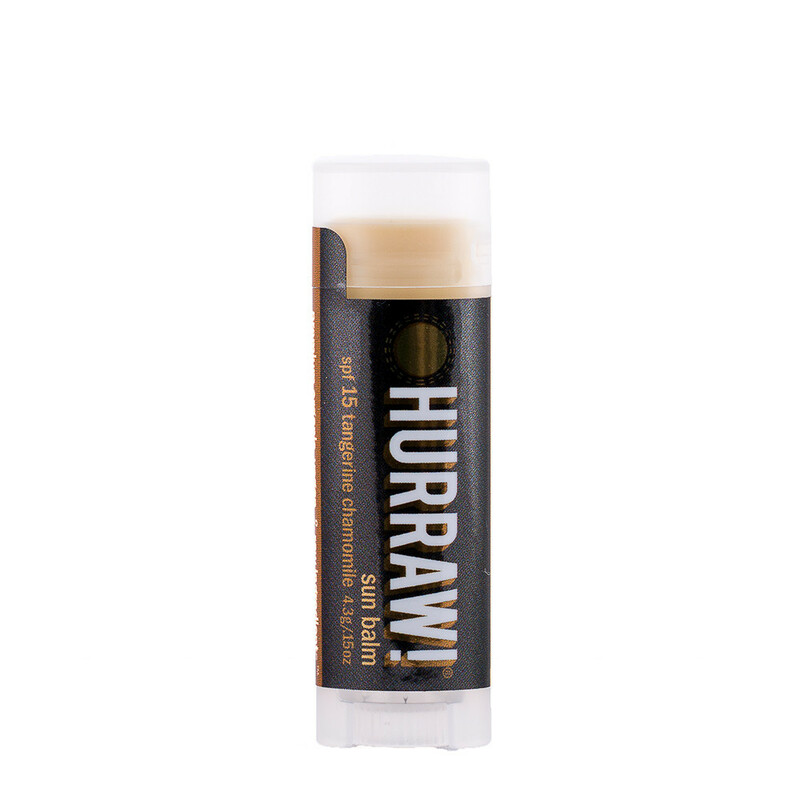 Lips are an overlooked part when it comes to sun coverage, but with Hurraw! Sun Balm, you can nourish and protect your lips with an SPF of 15. Usually priced around $4. Product Description: It glides on silky smooth *(and virtually clear) like Hurraw! 's regular balms but they formulated it to be extra thick and creamy for longer staying power while out in those shining rays! Juicy Tangerine with hints of Vanilla...the unique scent of Roman Chamomile lends a calming note. Packed full of amazing cold pressed oils to moisturize, protect and heal. *Ricinus communis (castor) seed oil, Olea europaea (olive) fruit oil, *Rubus idaeus (raspberry) seed, *Hippophae rhamnoides (seabuckthorn) seed oil, *Punica granatum (pomegranate) seed oil, Tocopherols (sunflower), *Citrus reticulata (tangerine) peel oil, *Anthemis nobilis (chamomile) flower extract, *Vanilla planifolia (vanilla) bean. (*notes organic & cold pressed and‡ wildcrafted). In my younger days, I had a collection of nail polish colors. These days, I choose quality over quantity. I've done a ton of reesearch on the best Five Free nail polishes which don't contain well known carcinogens formaldehyde, dibutyl phthalate, toluene, formaldehyde resin, and camphor (found in most nail polish on the market today). 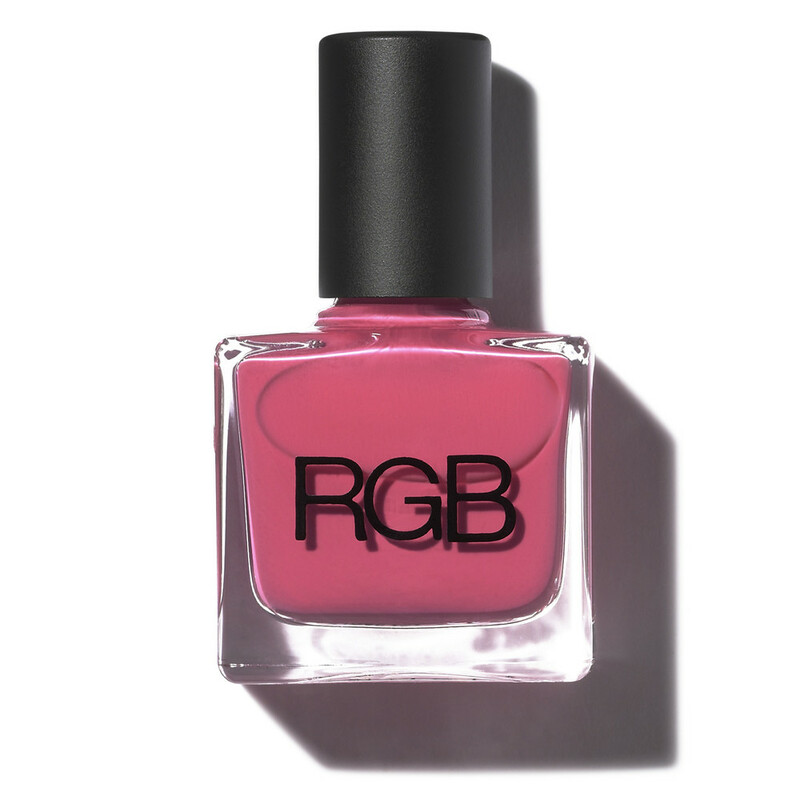 Now, unlike makeup, nail polish still has a way to go, but some are making great strides, which is why I settled on RGB. This nail polish company is not only Five Free, but also Vegan, Cruelty Free, Fairtrade and Made in the USA. It also has stellar reviews, which for me, so far, have turned out to be true. You also do not have to sacrifice your preferred color choices as RGB has a plethora of trendy colors to chose from. I highly recommend you check out their color range and their other nail-related products. Each bottle of nail polish is priced around $18. As noted on their site "From our Five Free NAIL COLOR (that does not mean chemical free or organic) to our 100% non-toxic NAIL COLOR REMOVES PADS, to a completely chemical free CUTICLE OIL, not all RGB products are created equally; some are more natural than others. Again, we aim to provide the best solutions for conventional nail products, both in performance and aesthetics." I am a fair skinned girl and I like to keep it that way. My preferred method to avoid sunburns and damage: avoid exposure as much as possible, whether hiding under the coverage of a large umbrella, the shade of an old tree, or under the protection of a wide brim hat. On days this is not possible, I reach for Badger Sunscreen - in particular, their SPORT SUNSCREEN CREAM SPF35 (their most water resistant and highest spf sunscreen). It comes in 2.9 fl oz tube around 15.99 or in a .65 oz face stick for $9.99 (but you can find them both on sale at many stores). Production Description: This simple, safe & moisturizing sport sunscreen is made for extreme sports such as surfing and mountain biking. One of Badger's simplest sunscreens, just 5 ingredients and no added scent! Water & sweat resistant for at least 80 minutes of swimming or activity. Broad spectrum protection from UVA & UVB rays using the safe mineral Zinc Oxide – No oxybenzone, octinoxate, or other chemical active sunscreening agents. Unscented with an antioxidant-rich Sunflower Oil base. BPA & phthalate-free tube from #2 recyclable plastic. No animal testing. Biodegradable and safe for coral reefs and other ecosystems. I shy away from moisturizer in the summer thanks to the increased humidity in the air. Herbivore Rose's Hibiscus Hydrating Face Mist, however, is light, refreshing and soothing, not just in summer, but all through the year (for drier months, you can apply it before your moisturizer). Product Description: Rose Hibiscus Hydrating Face Mist is created with pure plant actives — no fillers. A base of coconut water is infused with youth-boosting hibiscus flower petals and moisture-enhancing rose to tone, hydrate, and soften all skin types. Available in 2oz for $16 or 8oz for $32 (again, always check for a coupon before ordering. They constantly have awesome deals). This is the product that comes with "I happen to be very good friend's with the owners/ creators/ magic makers behind Fruit to the Roots, Lauren and Brian. However, even if I was not friends with them, I would definitely be buying this product. Salve Maria is the balm every cabinet needs, because for me it just works. Like I mentioned before, I try very hard to avoid the sun, but on those rare days it leaves its marks, I reach for this product. I have been spared harsh burns time and time again. The price ranges from $9 for 1 oz to $24 for 3 oz. Product Description: Salve Maria's unique blend of herbs helps aches and pains, bruising, minor scars and skin abrasions, as well as having anti-bacterial and anti-fungal properties. Intended to be used for aiding a healthy skin with moisture and herbal stimulation by applying to affected area. A little Lemongrass essential oil to elevate your mood. Using this rub many people have seen immediate improvement with sunburns including moisture, immediate pain relief, little to no peeling of the burned areas and in most cases redness has completely disappeared within 24 hours of use. Ingredients: Infused herbs including Yarrow, Calendula, and Arnica flowers, Yerba Mansa, Frankincense, and Spikenard blended with Organic Extra Virgin Coconut and Olive Oil.